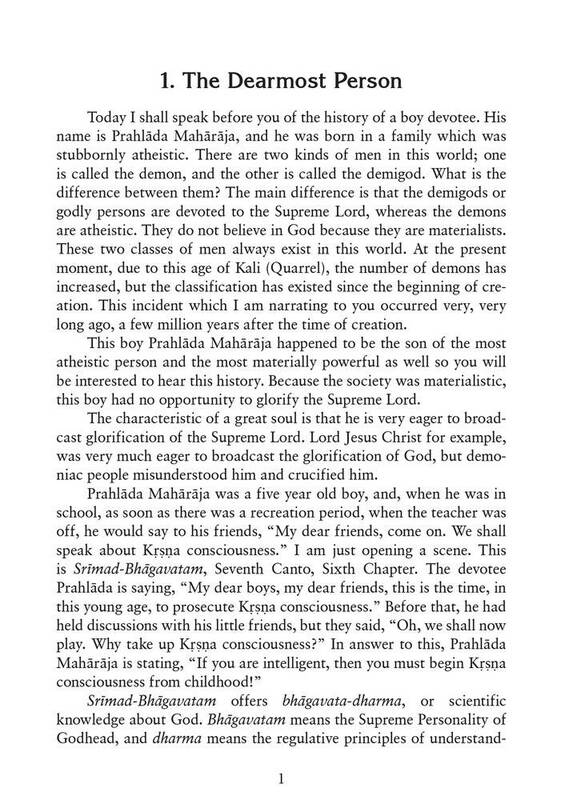 Transcendental Teachings of Prahlada Maharaja. 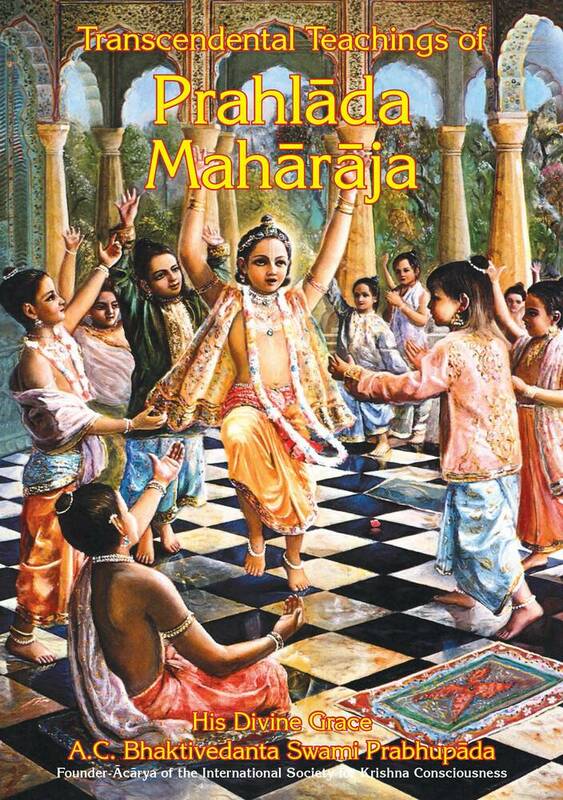 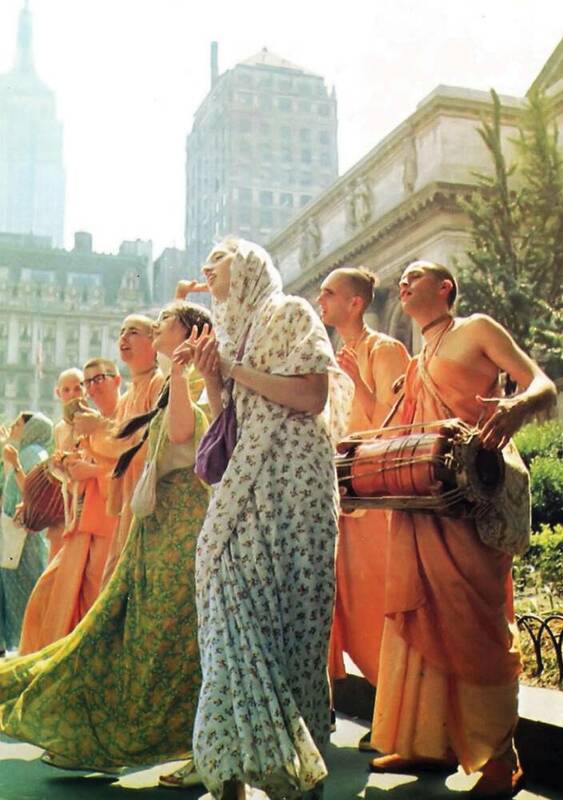 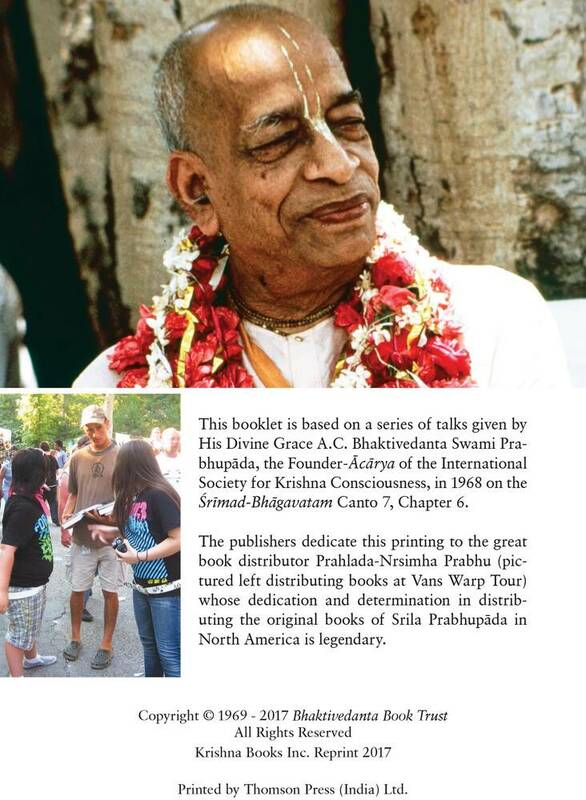 It is a beautiful 32 page full color introductory pamphlet presenting the essence of Krishna consciousness through the very interesting story of a young boy, Prahlada Maharaja, who was a pure devotee of Krishna, but happened to take birth in a demonic family. 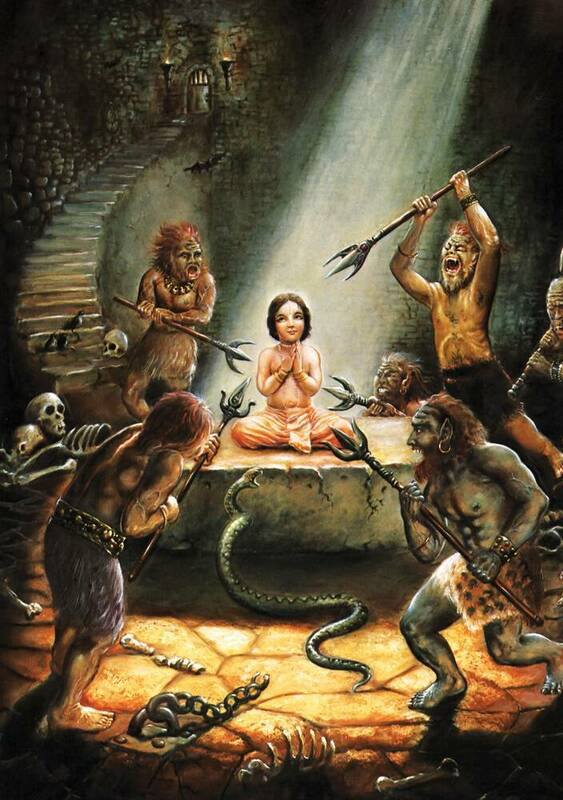 Prahlada's father was Hiranyakasipu, the greatest demon and the ruler of the whole universe. 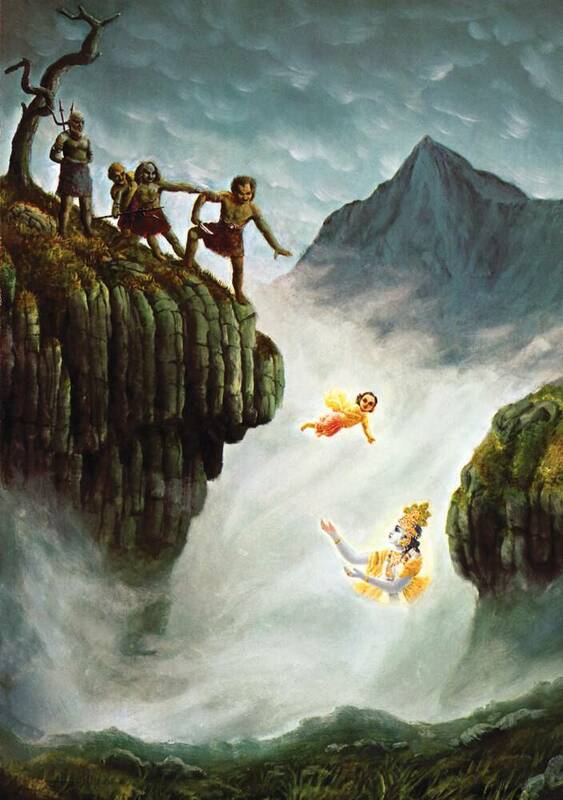 Everyone was afraid of Hiranyakasipu, but his little son, Prahlada, had no fear of him because he knew that he was protected by Krishna.